Although Tina A. Hobson’s interest in communications began as a hobby, it has blossomed into a full-time career. She is currently thriving as a best-selling author and radio show host, known for being a strong voice in the fight for female strength, power, and unity. 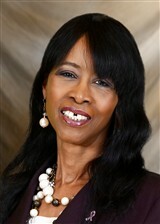 Ms. Hobson is a semi-retired licensed social worker with the state of Ohio. Social work has been her passion for the past 25 years, but, after attending a woman’s conference, she felt a strong motivation to keep the momentum going. Thus, she founded the I Am a Superwomen Radio Network LLC with the goal of inspiring women to become as empowered as she is. Ms. Hobson broadcasts her podcasts weekly via Blog Talk Radio and Facebook. She has prerecorded shows every day at 3 pm and live shows every Friday and Sunday at 8 pm. Ms. Hobson brings to the world guests with relevant topics of interest that fit her motto, “empower the superwoman in you.” She believes that with hard work, tenacity and having faith in God, all things are possible. As an international best-selling author, Ms. Hobson has affected millions of people worldwide. She is the co-author, along with 20 professionals, of “Success in Beauty: The Secrets to Effortless Fulfillment and Happiness.” The book’s topics include mastering a positive mindset, finding and pursuing passion, improving both the inner and outer self, coping with health and relationship issues, creating a personal life plan, and much more. Ms. Hobson also penned “Oh How He Loves Me: Reflections of God’s Love for Me and You,” a one-of-a-kind workbook about how the power of God’s love can transform people’s lives. Several of her other books include “Do Not Resuscitate: You’ve Breathed Your Last Breath, 10 Critical Traits I Will Not Tolerate Any Longer,” “Success in Beauty: The Secrets to Confidently Following Your Dreams Effortlessly,” and “Success in Beauty: The Power of Thank You.” Ms. Hobson is currently working on an anthology about the relationships between people and God. For her array of professional contributions, Ms. Hobson has been recognized with the 2015 Stiletto Boss Award of Excellence by Stiletto Boss LLC, a multi-media company that provides services for entrepreneurs, businesses, and artists to help them build, develop, and market their brand. Ms. Hobson prepared for her endeavors by earning a Bachelor of Arts from Capital University in Cleveland, OH, in 1998.